Bis 14 Uhr bestellt, sofort versendet! 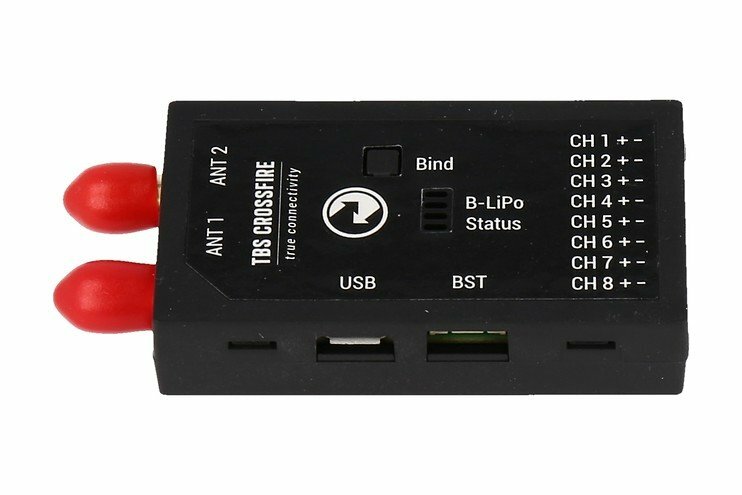 The TBS CROSSFIRE 8ch Diversity Receiver is a compact R/C receiver with 8ch PWM outputs (PPM capable), with best-in-industry noise-rejection and record-breaking range capability. It is the only receiver to provide true dual-input stage, chip based diversity, with the usual filtering and noise rejection from on-board video systems. Ever lost a plane and spent hours looking for it? Enter the TBS CROSSFIRE beacon mode. The 8ch diversity receiver comes with a built-in LiPo battery that will keep the receiver running for a full day after all onboard electronics are gone. It will be screaming for help by giving you its GPS coordinates, and also blasting out RF beacon signals that will allow you to pinpoint its location even if no GPS was ever on your airplane. BST, the BlackSheepTelemetry port, spreads the goodness of the TBS CROSSFIRE to any device that listens. For example, the TBS CORE PRO will display the RSSI and link quality info. The TBS BlackBox will record the RSSIs and plot them to Google Earth maps for your later analysis. Software updates will get automatically spread across the entire ecosystem, through a single entry point (e.g. CORE PNP PRO). It's just user-friendly and safer that way! 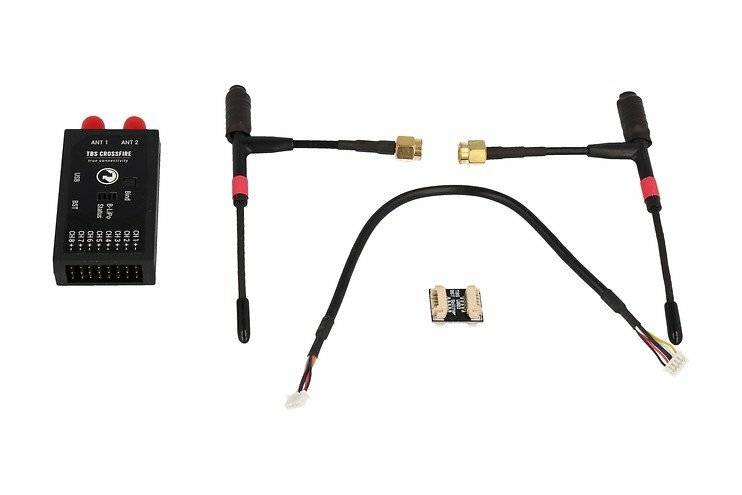 In case you're running out of BST ports we're including a BST port splitter free of charge! Erhalte News & Angebote direkt per Mail. Beratung und Verkauf in 53424 Remagen. Wochentags 9:00-16:00 Uhr. Einfache Retourenabwicklung über unser Service & Retouren Portal.